NEW DELHI, August 4. /TASS/. India is looking at purchasing a Russian-made Igor Belousov-type search-and-rescue vessel, a source close to the Indian defense ministry told TASS on Thursday. “India is looking at buying a state-of-the-art search-and-rescue vessel of that type. That is why our specialists are examining the Russian rescue and salvage ship Igor Belousov which has called at Visakhapatnam,” the source said, adding that India has no rescue boats with such technical capacities. Hence, the Indian side will scrutinize the Russian vessel and its equipment. While on its way to Visakhapatnam, the Igor Belousov joined the search operation for an Indian air force An-32 plane that went missing over the Bay of Bengal on July 22. 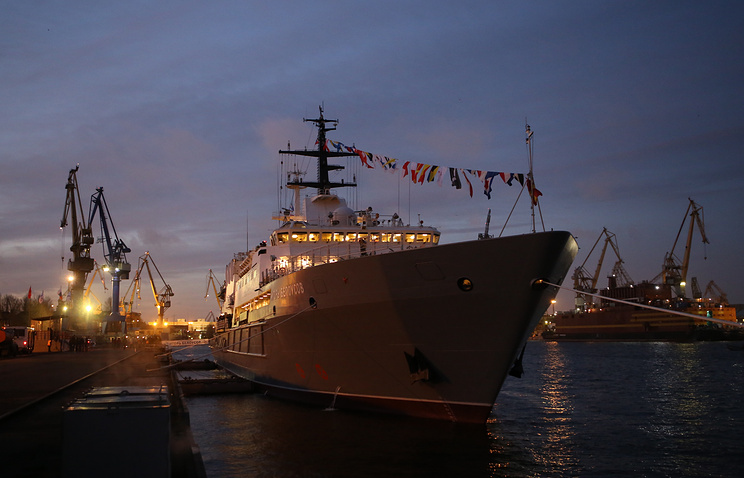 The Igor Belousov is the head search-and-rescue vessel of Project 21300C built at St. Petersburg’s Admiraltry Shipyards for the Russian Navy. With a length of more than 100 meters, the ship has a displacement of 5,000 tons.